make a reservation. What's my next step? A: This website describes our guest house and the reservation process quite thoroughly, but if you still have questions, or would like to secure a time, simply click the blue button below and send us a note. We'll get right back to you. We share fun Cape May discoveries and tips. It's fun and you can unsubscribe at any time with 1 click. Q: Are you a pet friendly home, can we bring our dog? A: Yes we are pet friendly! We're very proud of that because we know how important it can be to bring you dog for a family vacation. After all, they are a part of te family! You might be interested to know in yur research that we are really the only guest house in the historic district that is pet friendly. If you'd lke to learn more about our pet policy and how it works, please click here to view our pet policy page. You'll see at the bottom there's also a Doggie Request form you can fill out. If bringing your pet is very important, you can fill that form out now and we can get right back to you to let you know if you're pet is approved. That way we won't waste any time if there was an issue. Q: Where in Cape May are you located? A: Our guest house is on Hughes Street right in the heart of town, three blocks from the beach and two & a half blocks from the Washington Street mall with its coffee shops, restaurants and shops. Our perfect location is walking distance to the best of what makes Cape May so special. Still need more location insight? Our cool interactive Google map below can help. Q: Typically, who stays at your guest house? Ask us about our group or seasonal specials! Q: Is a Guest House different from a B & B? A: Yes, there is a difference. A Bed & Breakfast is typically a boarding house that rents rooms or suites to parties of 2 to 3 people. Usually they provide a simple breakfast as part of the stay. Because you share the common areas of the B&B with other vacationers, children are generally not permitted. With a Guest House (or vacation house as some refer to it) you rent out the entire house and have access to everything in and around the house. So that means you have access to a full kitchen to host family meals, a living room/family room to relax and watch DVDs, a front and back yard where the children can play, a private driveway for parking, a back deck with grill and many other features. But basically, a Guest House gives you the feelings and comfort of being at home, while on your family vacation. Q: What's the bedroom setup? A: There are 7 Bedrooms that can accommodate up to 14 people. 2nd Floor — On the second floor there are 3 bedrooms, and two rooms have Queen sized beds one room has a Full sized bed..
3rd Floor — On the third floor there are 4 bedrooms: two of the bedrooms rooms have a full size bed with a single trundle underneath, one room has a twin trundle set and one room has set of twin beds. In summary: 2 Queen size beds and 1 Full on the 2nd floor. On the 3rd floor there are 2 Full size beds and 6 twin size beds on the third floor. If it helps, take a look at our Longfellow Guest House photo galleries (inside and outside pics) for more bedroom descriptions and details. Click here to see helpful beds layout pdf. 1st Floor — As a side note, we also set up a queen size pull-out sofa bed in the living room. This can be a fast and easy solution for guests that require a first floor bed. And if it's very important to have a first floor bedroom, we have a room that's separate from the main house. See "Special" below for more details. Bathroom Summary: There's a full bathroom on the first floor. On the second floor there's the en suite private bathroom for the Master Bedroom, and a main/ larger bathroom for the other rooms. On the second floor there's also a full Washer/Dryer laundry room that has a toilet and sink. And, there's a convenient outside beach shower with hot & cold water. Recently we created a first floor bedroom option for families with elderly parents, a family member with a handicap, or even just for guests that would like a little more space than our standard rental provides. The first floor bedroom is separate from the main house and has been very well received; our guests love having this choice (in particular for their elderly parents). Additional fees apply. You can learn more here. Q: What's the best Season to visit Cape May? A: Cape May is a popular year 'round destination so it really just depends on what you're looking for. Summer is the peak tourist time of course, but the off-season presents a great opportunity to enjoy Cape May’s charm with typically lower rates and smaller crowds. The Spring Festival, Jazz Festival(s), Sherlock Holmes Weekend & Victorian Week are just a few of the events offered. Thanksgiving, Christmas & the New Year's Holiday are particularly special where many home owners go to town decorating their properties with holiday lights; an experience made even more amazing when viewed on a nighttime horse and buggy ride offered by the Carriage Co. Truly wonderful! A: We now have air conditioning units in every bedroom. Also, on the second floor there are ceiling fans in each of the three bedrooms, and on the first floor there are ceiling fans in just about every main room. Our house was built during the era where ceilings were really high on the first floor. Those high ceilings provide a comfortable cooling effect throughout the house. And since we're a few blocks from the beach, cooling ocean breezes help keep things comfortable. Bring your iPad or your laptop, we have hi-speed, wireless internet access. A: We provide a great wireless high speed internet connection for our guests who really enjoy being able to easily access their email or connect to the office while on vacation. And recently we upgraded the router so now there's a strong signal on just about the entire first floor - including the front porch. So you can watch the horses clip clop by while you sip your coffee and catch up with the office! Just bring your wireless enabled laptop, and you're all set to surf the internet Cape May style. Q: Do you offer special weekend packages? A: We do. Through the year we post holiday and rental specials. For example, here's our Valentine's Day Rental Special. Typically, we announce specials first on our private email list. Sign up below if you'd like to be on that list. Yes I'd like to receive. Thank you! We'll be in touch the next time we have something special to share. Q:How can I find out about fun family Cape May activities? A: Certainly you'll find a ton of stuff online. We also have added our voice to the interwebs covering all sorts of fun and unique Cape May recommendations. We share our best via our blog and also our private email list. For example, our Longfellow House "Lovin' Local" blog features a unique collection of articles, videos and recommendations for things to do around town with your family and friends. Here are some sample posts (click either one to go to the article). And if you'd like to sign up for our email list, click here. A: If you still have a question, try entering your search term in the search box below and you'll see it will immediately list any content, site wide, that contains those terms. If you still can't find what you're looking for, then click the Contact Longfellow House button below, ask anything you'd like, and we'll get right back to you. 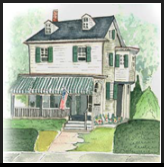 Also, let us know if there's anything not included on this FAQ page that can help you in better understanding Cape May, the Longfellow Guest House, or the rental process in general, let us know.